Generally a health certificate is valid for 30 days; however some airlines will make the final decision concerning the length of time from health certificate issuance to flight. This is why your best option is to call the airline you are flying with. Also keep in mind that if your return trip travel date exceeds the 30 day health certificate limit, you may need to purchase a second health certificate from another veterinarian before you can travel by plane again. For international flights, there are various requirements depending on your destination. Tests and procedures often have to be done six or more months in advance. We do not offer international health certificates at our hospital. More information can be found at the USDA's website. 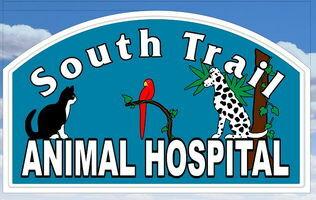 South Trail Animal Hospital will give you a copy of your pet’s health certificate to take with you on your flight. Your veterinarian can also prescribe sedatives if your pet is a nervous traveler.